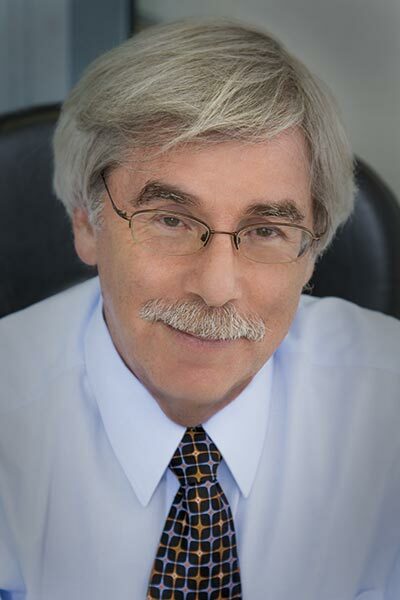 Mark Chertok has been active in environmental and land use counseling, permitting, enforcement and litigation for more than thirty years. His experience spans a broad spectrum of substantive areas, including environmental impact statement (EIS) counseling and litigation under the National Environmental Policy Act (NEPA) and the New York State Environmental Quality Review Act (SEQRA), wetlands and water quality permitting, particularly for waterfront projects, under the Clean Water Act and State counterparts, major transportation projects, air quality and climate change issues under the Clean Air Act, hazardous substances remediation and litigation under the Comprehensive Environmental Response, Compensation and Liability Act (CERCLA or Superfund), remediation under the New York State Brownfield Cleanup Program, oil spill remediation under the New York State Navigation Law, compliance review of Phase I and Phase II environmental assessments, land use and zoning, coastal zone management and historic preservation. A testament to his wetlands experience, Mark served as an expert in freshwater wetland permitting in a condemnation trial in 2012. Mark handles matters before numerous Federal, State and City agencies, including the U.S. Environmental Protection Agency, the U.S. Army Corps of Engineers, the U.S. Coast Guard, U.S. Department of the Interior, the New York State Department of Environmental Conservation, the New York State Department of State, the New York City Department of Environmental Protection and the New York City Department of City Planning. He has represented numerous government agencies, including the Port Authority of New York and New Jersey, the New York State Empire State Development, the New York State Thruway Authority, the New York State Department of Health, the New York City Industrial Development Agency, the New York City School Construction Authority, and the New York City Economic Development Corporation. He has represented numerous municipalities with respect to development and SEQRA-related issues and has served as special environmental counsel to many school districts with regard to compliance with SEQRA for new schools or expansions. His clients have also included private industrial, commercial and financial entities and national environmental and civic organizations. Mark has represented either the sponsoring or reviewing agencies, or private applicants, in major projects, including the Queens West Development Project, Columbia University’s expansion in northern Manhattan, the Bayonne Bridge Navigational Clearance program, the Willet’s Point (Queens, NY) development, the Goethals Bridge Replacement project, the Gateway at Bronx Terminal Market, the IAC Headquarters building, the Gowanus Green redevelopment project (Brooklyn, NY), the New NY (Tappan Zee) Bridge, the J.F.K. Airport Light Rail System, the Newark Liberty International Airport Monorail Project, the Essex County Resource Recovery Facility (Newark, NJ), the Selkirk (NY) GE Cogeneration Project, the Town of Smithtown (NY) Landfill Expansion Project, the Niagara Resource Recovery Facility (Niagara Falls, NY), the Bronx-Lebanon Hospital Center Medical Waste Incinerator (New York City), the River Walk residential development (Detroit), the Prince’s Point development (Staten Island, NY), the Laurel Hill (Phelps Dodge) site (Queens, NY) and the Brooklyn Commons redevelopment. Bayonne Bridge Navigational Clearance Program: Represented the Port Authority of New York and New Jersey with respect to the environmental review and permitting process, which culminated in federal and state permits; the matter is now in litigation. Queens West Development Waterfront Development Project: Represented the Queens West Development Corporation in litigation that successfully defended the EIS for the project, and represented plaintiffs in a CERCLA action for response costs, which recently settled. Columbia University Expansion Project in Manhattanville: Represented Empire State Development with regard to the environmental review and approval process for the project, including litigation successfully defending a challenge to the condemnation of property in furtherance of the expansion in the New York State Court of Appeals. Stockbridge-Munsee Community and Band of Mohican Indians of Wisconsin: Represented the Stockbridge-Munsee Community and Band of Mohican Indians of Wisconsin in litigation against the U.S. Department of the Interior challenging the denial of an application to place land into trust for a casino. The government reversed its denial of the application. Battery Maritime Building: Represented the building’s developer in the environmental permitting process for its renovation.